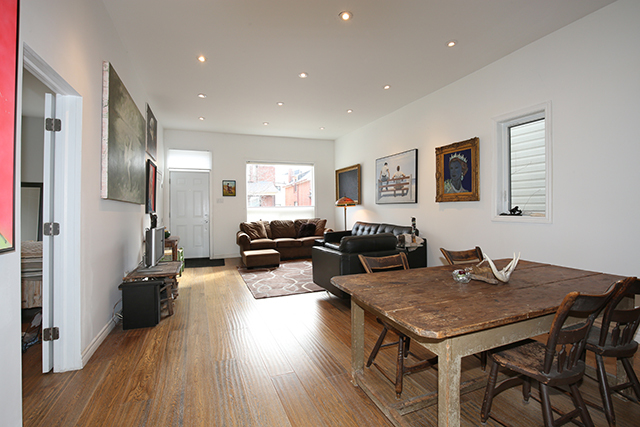 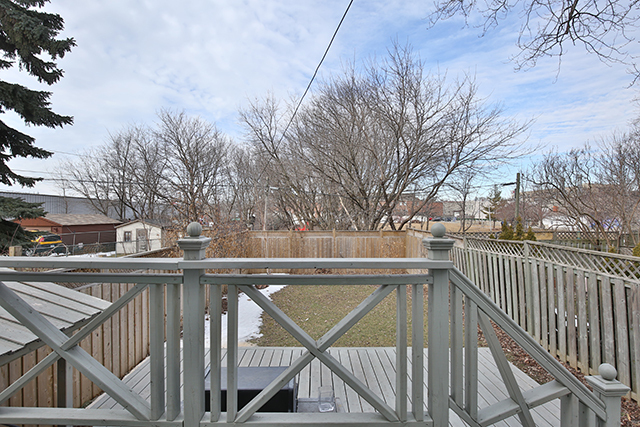 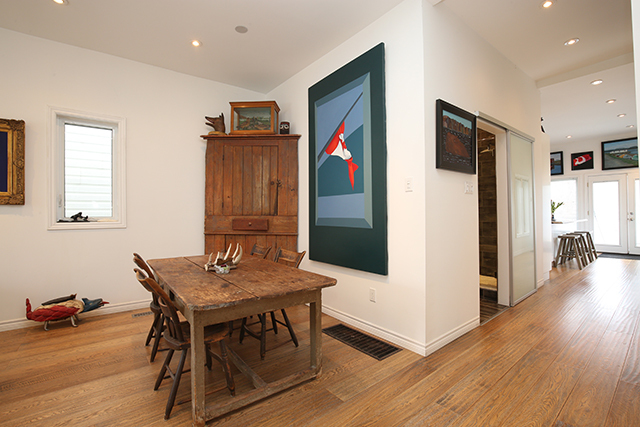 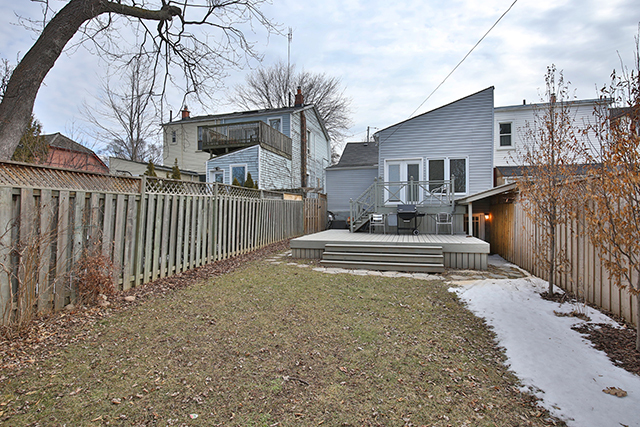 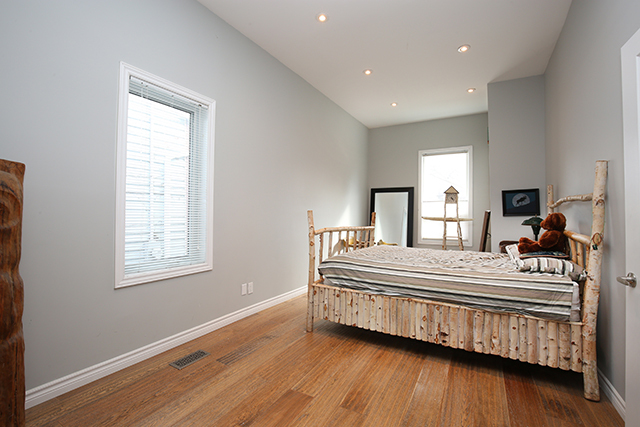 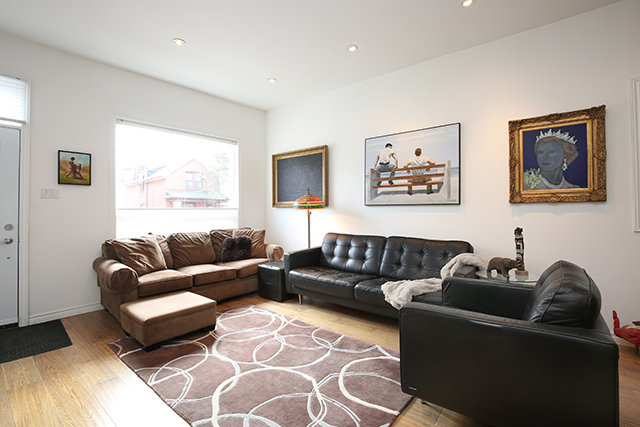 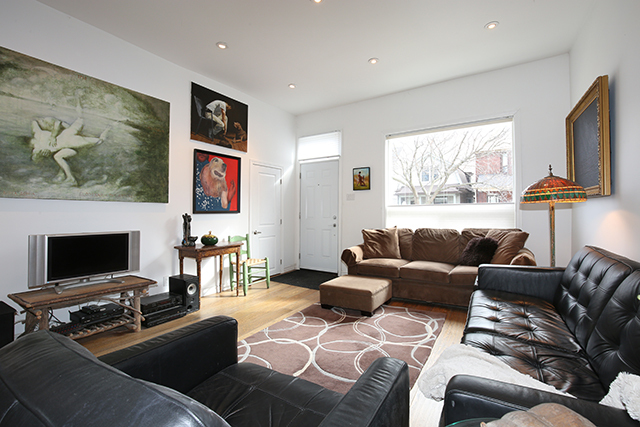 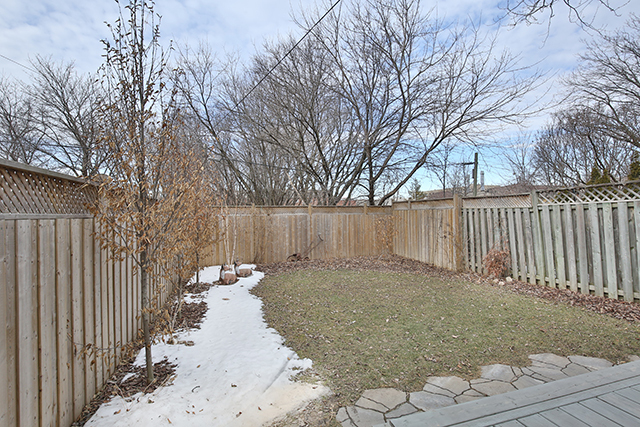 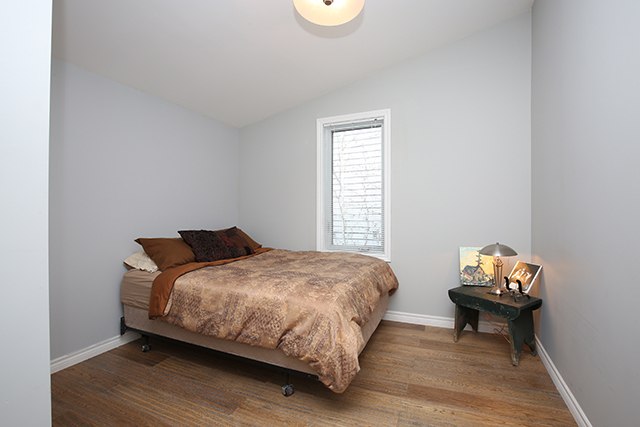 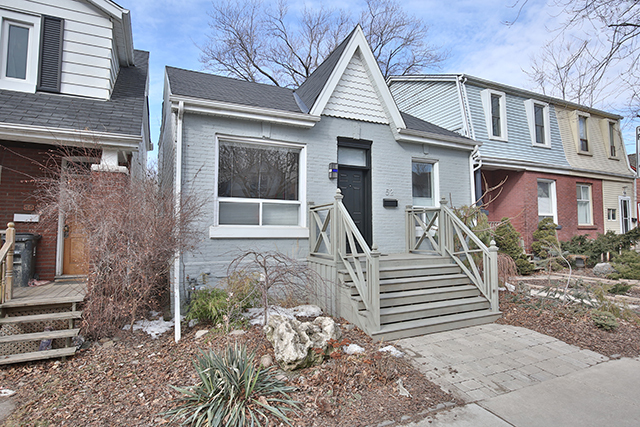 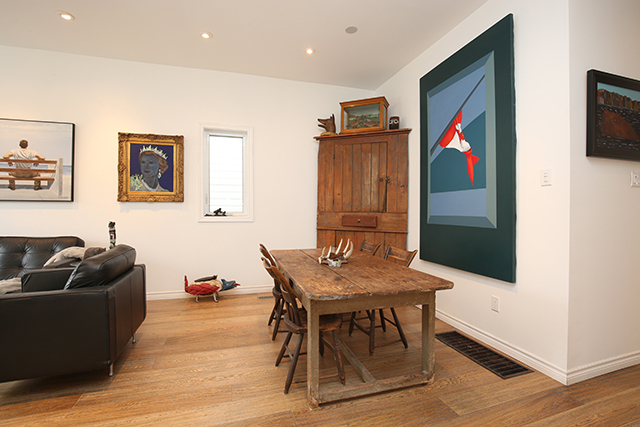 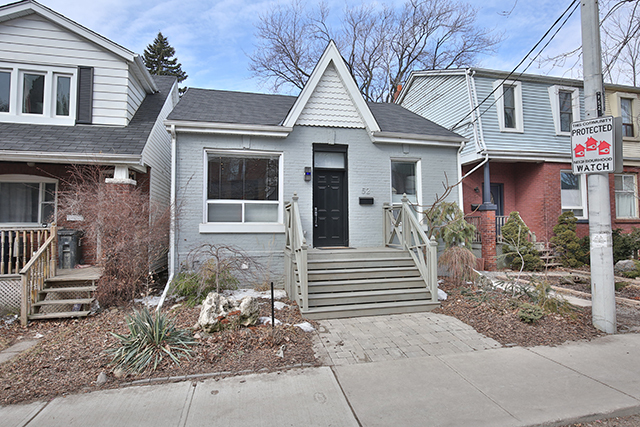 Home \ Blog \ Leslieville Real Estate: Just listed 52 Laing Street! 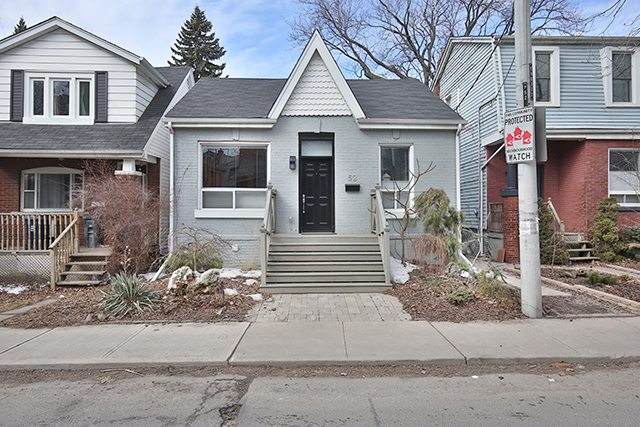 Leslieville Real Estate: Just listed 52 Laing Street! 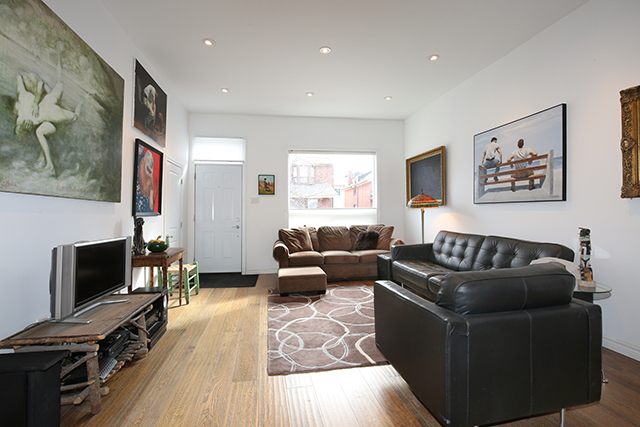 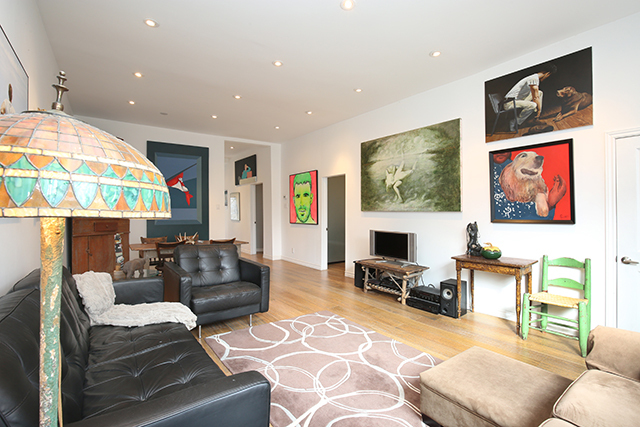 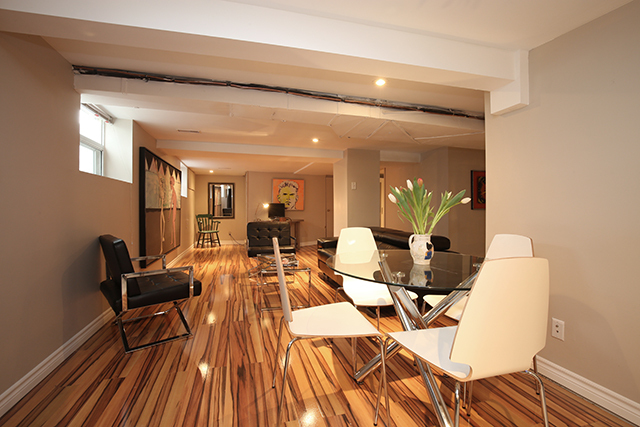 Welcome to Leslievilles Loft House On Laing! 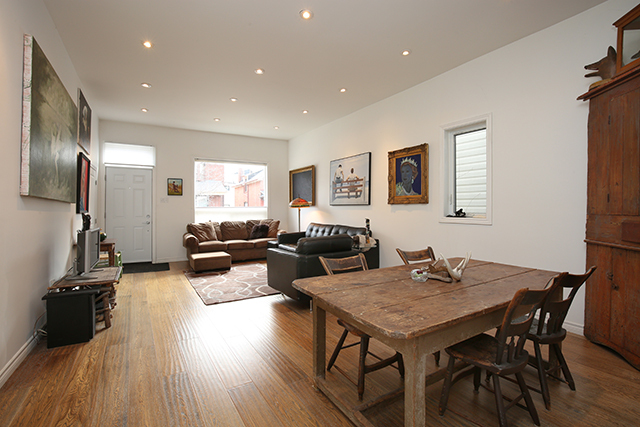 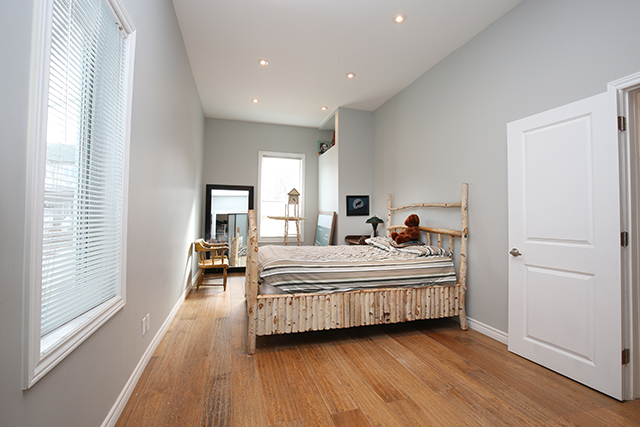 A bright, detached Victorian bungalow with sensational loft style renovation! 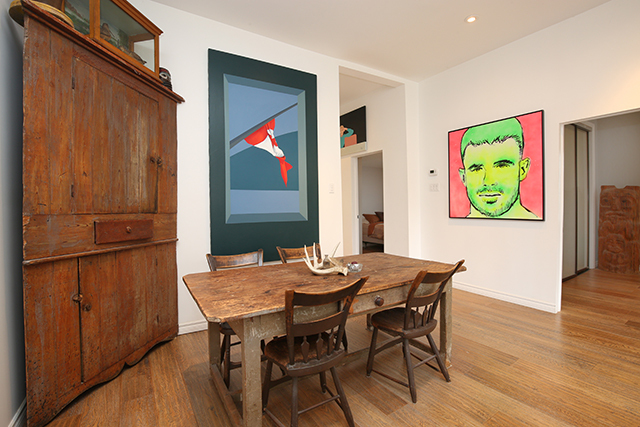 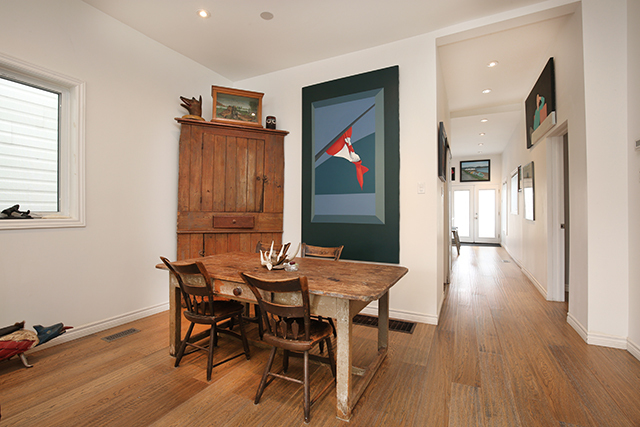 Located on one of Leslieville’s most historic streets, a few homes south of the Maple Leaf Cottage. 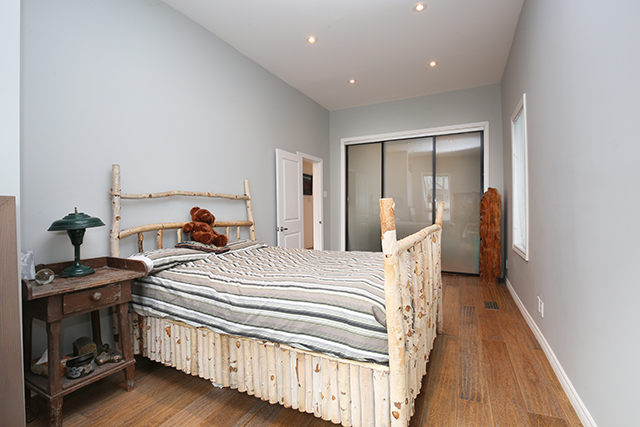 Private Muskoka setting- fully fenced in backyard overlooking Maple Leaf Forever Park with stately trees. 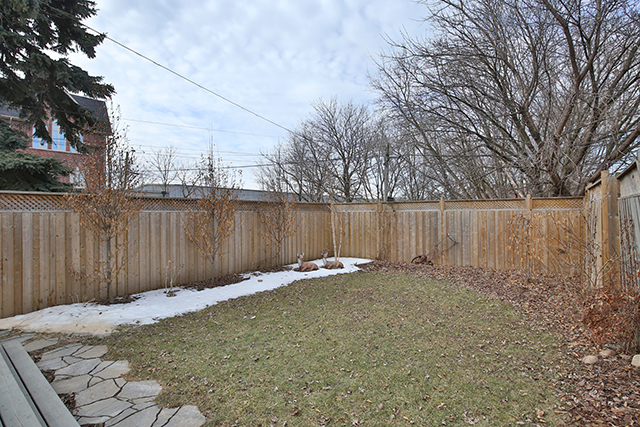 Imagine the setting when everything is in bloom and the leaves are on the trees. 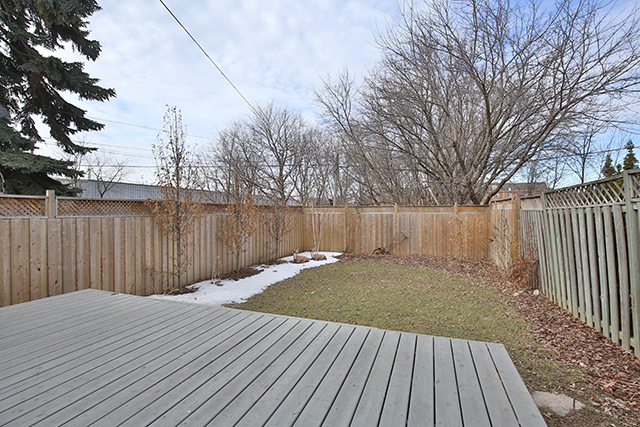 Beautiful lush landscaping on both front and rear yards. 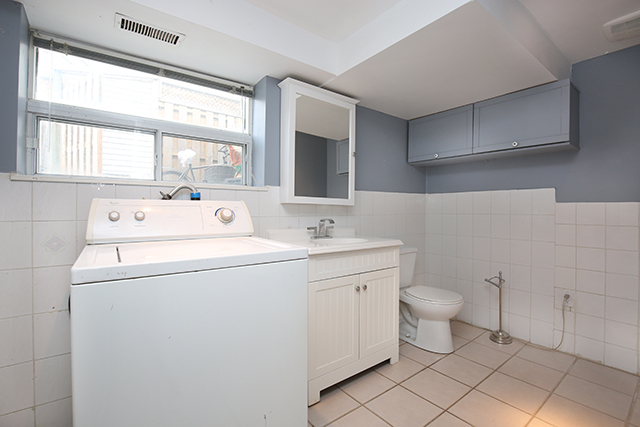 Great income potential – large (1200 sq ft) self contained basement apartment previously rented for $1200 per month (with its own private laundry). 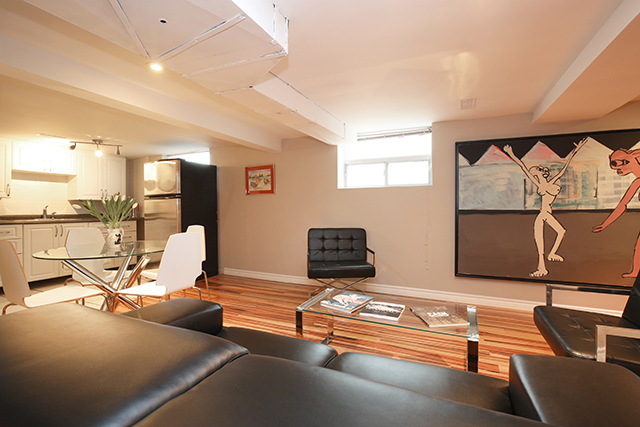 Steps from the newly renovated Loblaws, Queen East Shops, Beaches, downtown, restaurants and cafes. 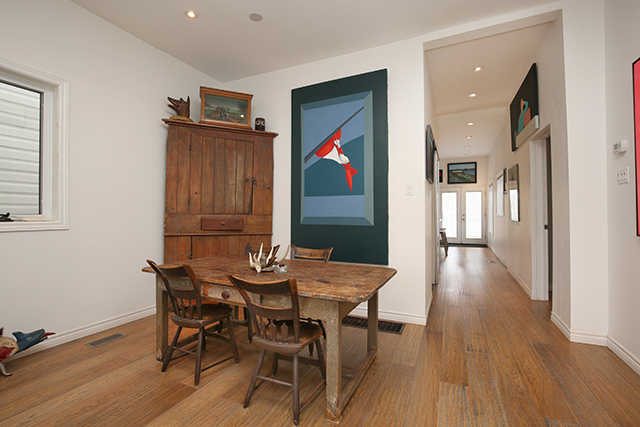 Original staircase located at the east end of the house could be reconnected to make this a single family home. 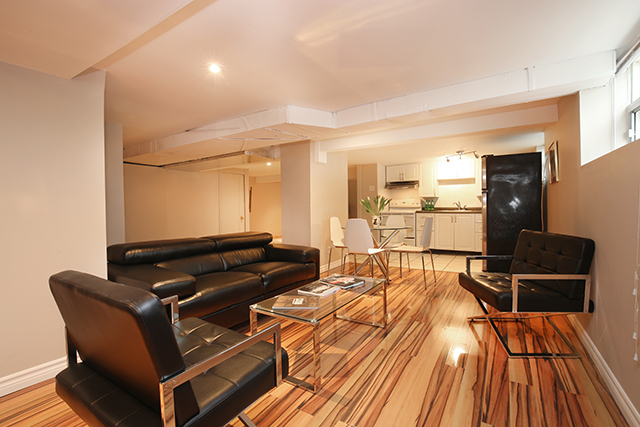 Laing Street is currently the main thoroughfare as Leslie is under construction but will be reopening in a few months and Laing will return to a quiet street. 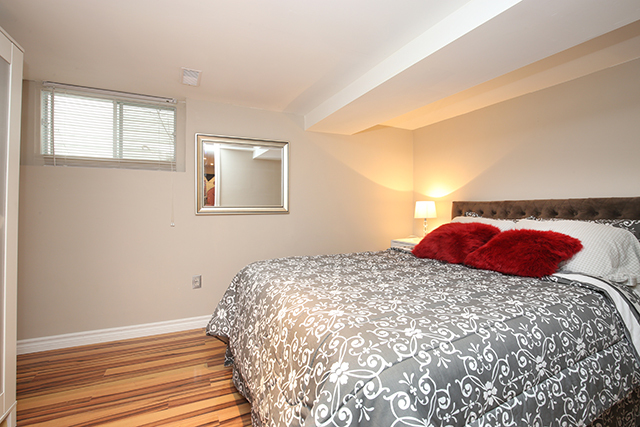 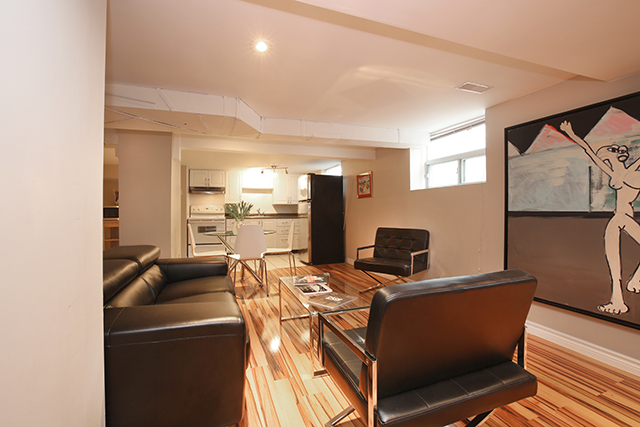 Location offers quick access to Gardiner expressway, DVP, 24 hour TTC. 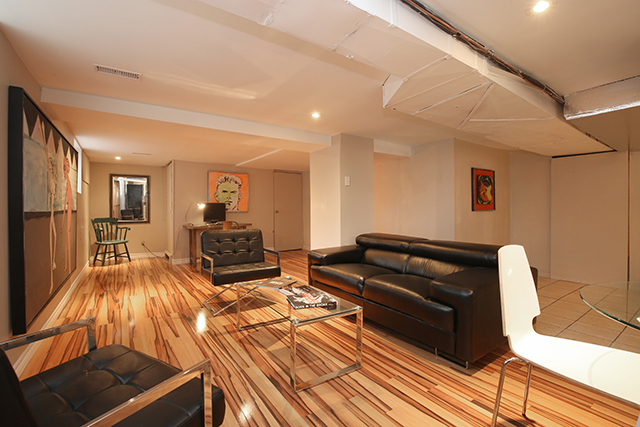 Completed redesigned and rebuilt main floor. 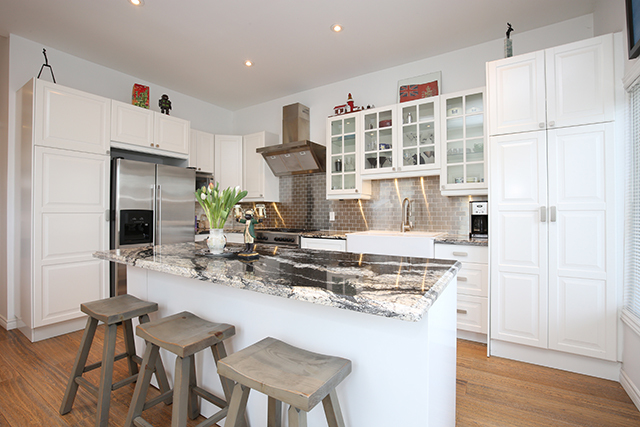 Sun drenched chef’s kitchen with breathtaking park vistas, natural granite counters, 5 burner gas range, stainless steel appliances and hood exhaust. 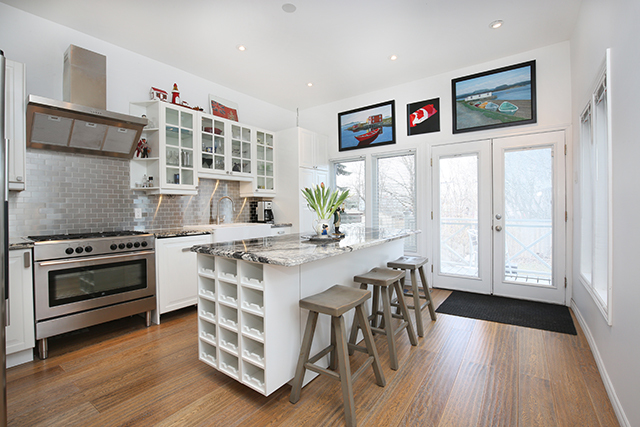 Large island with lots of storage and wine rack. 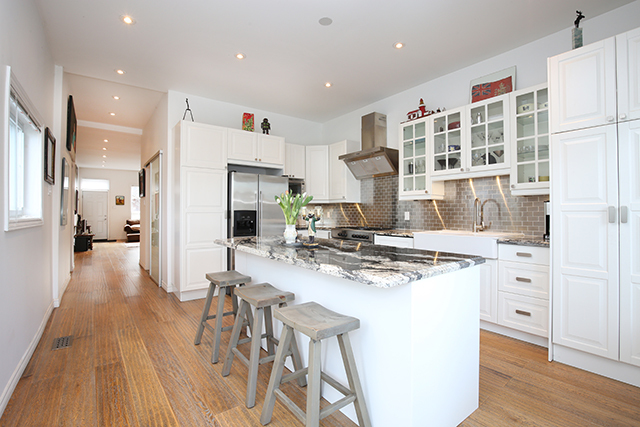 Stainless steel subway tile back-splash & large double sink. 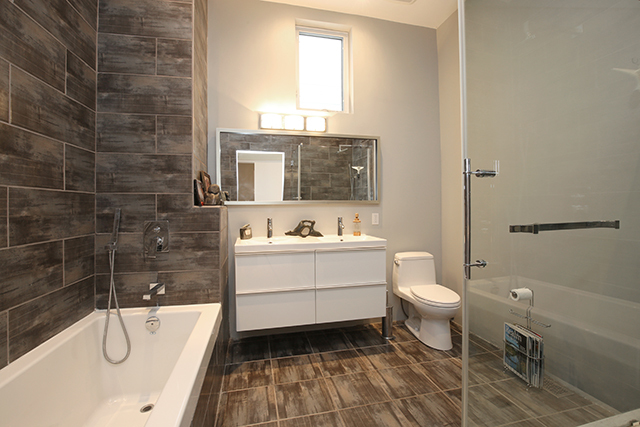 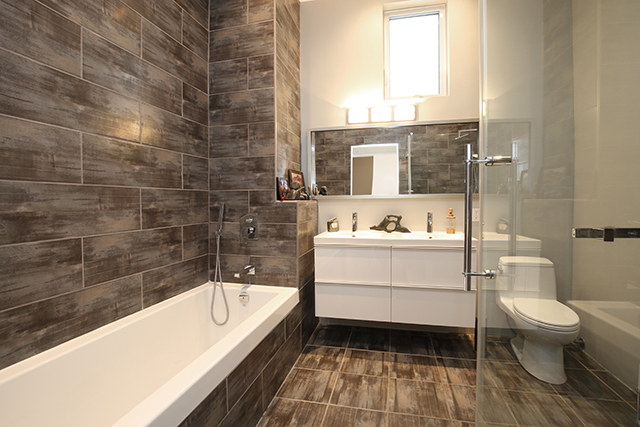 Gorgeous modern bathroom features floating double sink vanity, large custom glass shower , deep soaker tub, and stylish tiles. 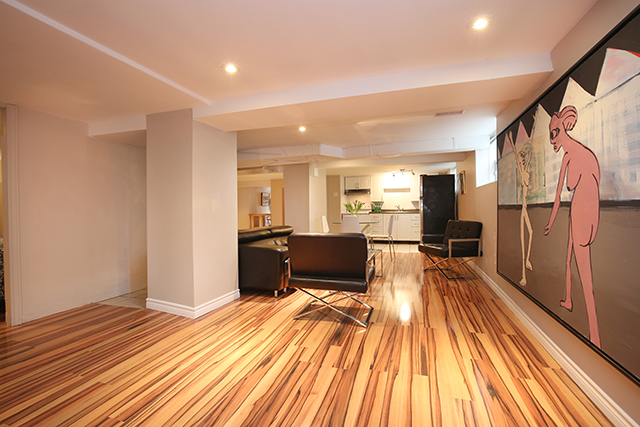 High end hand scraped oak flooring throughout main floor. 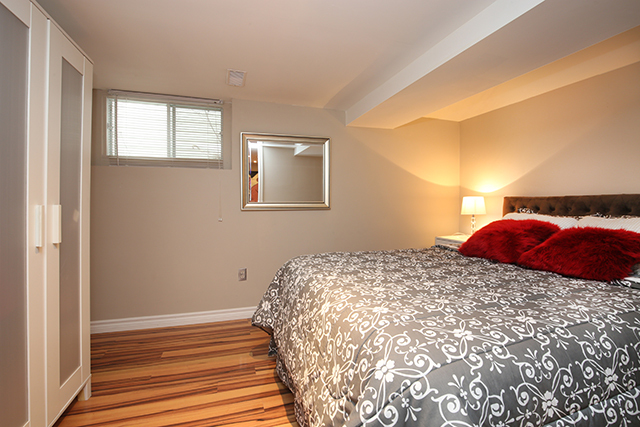 Large master bedroom with walk-in closet and generous second bedroom. 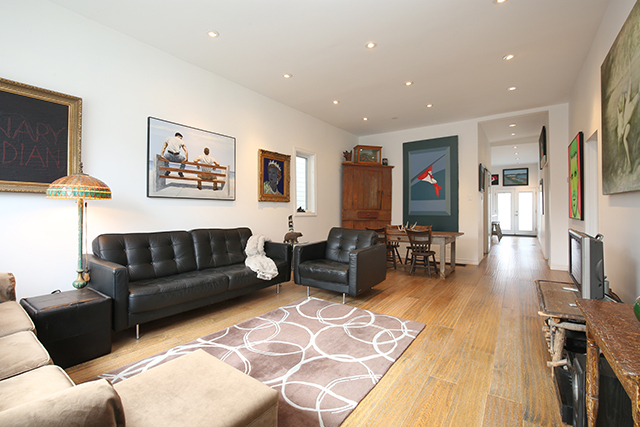 Vaulted loft like 10 foot ceilings. 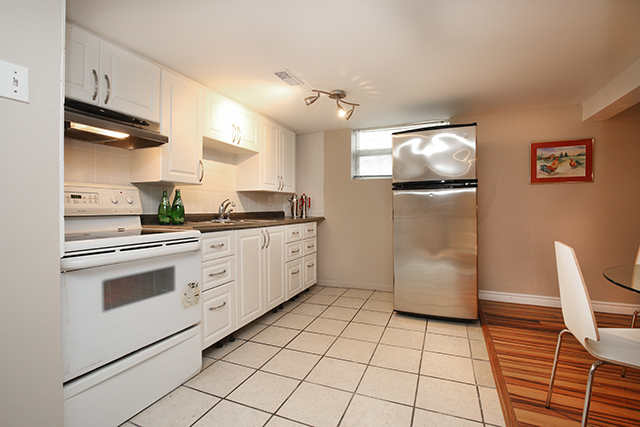 Private owners suite laundry features front loading Maytag washer & dryer tucked away in the kitchen. 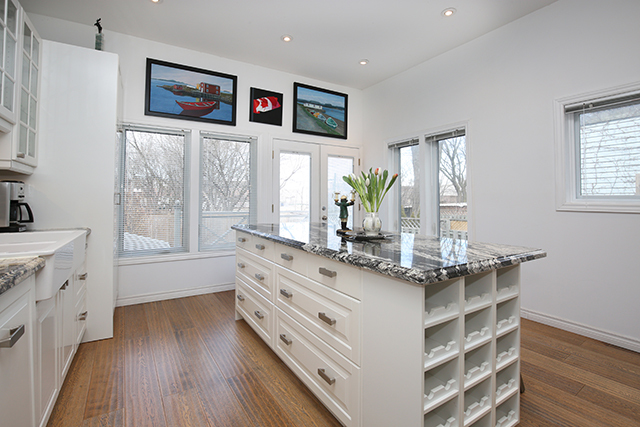 French doors from kitchen to massive two tiered sunny west facing deck with storage underneath. 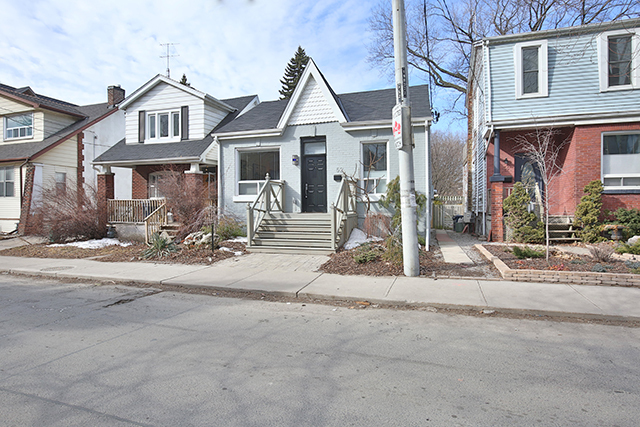 Toronto Real Estate: How did Danforth Avenue get its name?